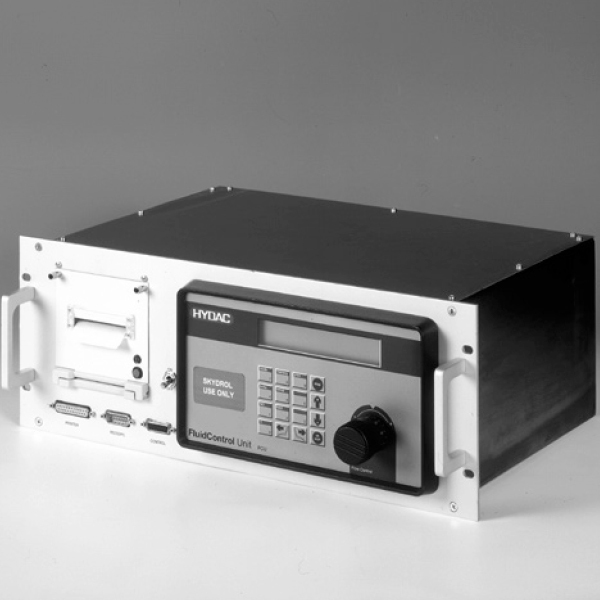 The FluidControl Unit FCU 2000 for 19″ Panel Mounting serves for measuring particle contamination in hydraulic and lubrication systems. Therefore, it records the measurement values by means of infrared technology and output in accordance with ISO 4406, SAE 4059 and NAS 1638. What’s more, its applications are hydraulic and lubrication systems.